PAGEV VOC TESTER MEETING - Vidco Software Research Development Inc. The VOC TESTER Evaluation Meeting, organized by the Turkish Plastic Industry Research and Development Foundation (PAGEV), was held at the Vidco Training Office on Wednesday, January 16th. 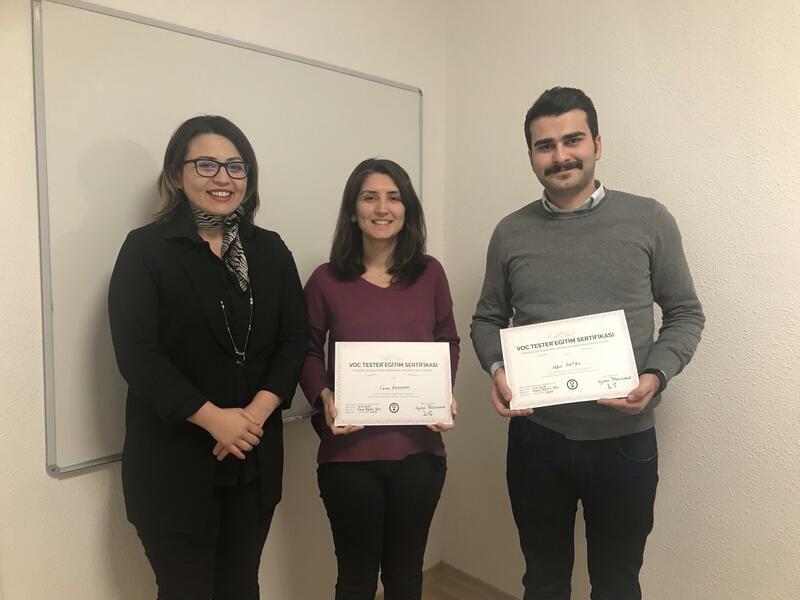 Certificates were delivered to PAGEV representatives at our training meeting organized within the scope of effective use of VOC TESTER Software System.